"The iconic mute for a generation of performers - and one that has passed the test of time. Superbly crafted and engineered (they all look and sound alike), it has been seen on major contest stages on every continent of the globe. The mute produces a clear, brilliant sound that allows for a wide dynamic range with secure intonation. No wonder so many have been sold. 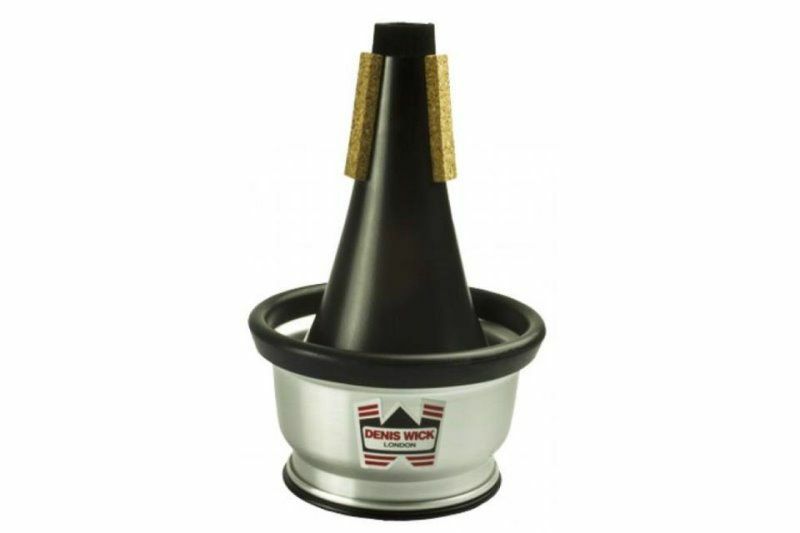 For cornets in particular, having a complete set of quality homogenous mutes is a must - and worth their weight in gold. Buy cheap and nasty and you will surely sound the same. And as long as the band secretary can keep an up to date inventory (cornet mutes gp AWOL from bandrooms more often than Ronnie Biggs over Wandsworth prison wall) they are also well worth the investment too." 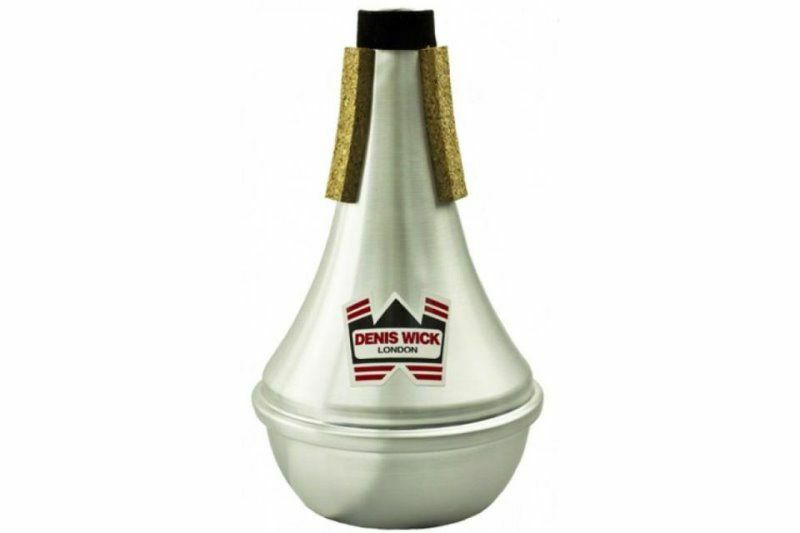 New from Denis Wick - great-sounding and versatile fibre mutes for trumpet and trombone. 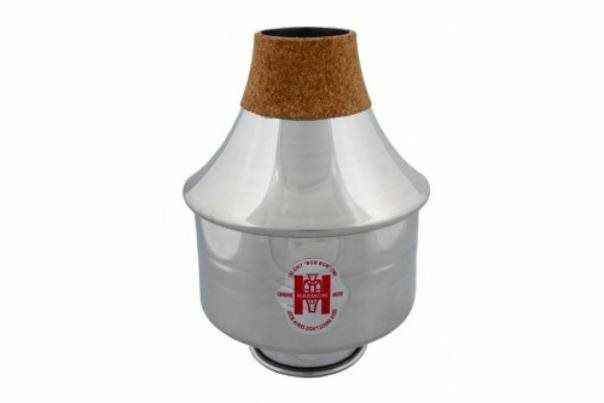 These sensational mutes have a seamless construction and wooden bases. They are suitable for use in orchestra and bands but are also great for jazz, making a gentle Duke Ellington-style sound which is great for jazz-ensemble work. They have the excellent intonation that is the hallmark of Denis Wick mutes, but provide a professional mute at a student price. Made with a seamless construction and a wooden base for extra resonance, this fibre straight mute from Denis Wick packs pro credentials and sound into a student price. It’s super lightweight and because of its conical fibre construction, it shouldn’t suffer from any dings or dents. The corks have also been contoured to avoid ‘chipping’ – a rarity at this price point. 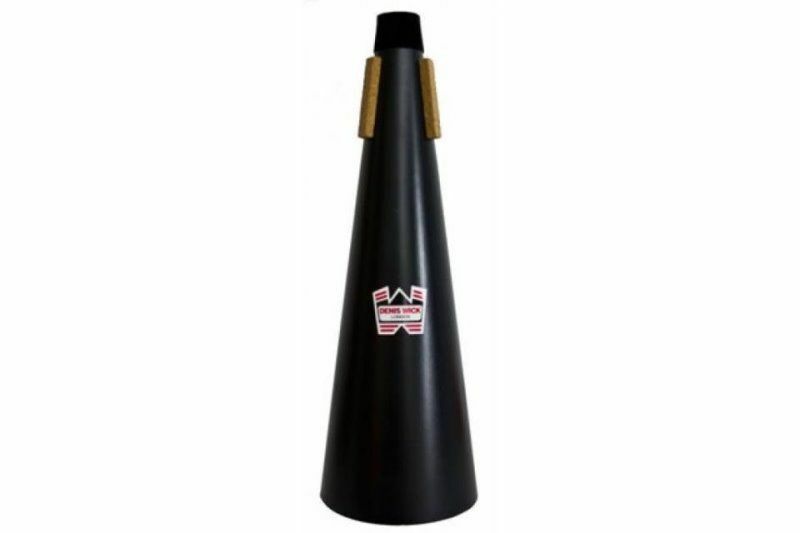 Attached to the house horn, we found it easy to play in any part of the range with good intonation. It is definitely more mellow than similarly spec’d aluminium or metal mutes and has a clean, round sound, particularly at the top end. We really liked this sweet side to it’s character. What it doesn’t have is a rawness and a hard, gritty edge to it’s sound, as when you do it still retains that inherent warmth. We reckon that this fibre mute would work really well in an ensemble situation, but can’t imagine it behind a full big band brass section. An excellent product, with the Denis Wick stamp of quality written all over it. Every horn should have one! ***** 5-star Well made. Very good price. The price is excellent. It's well made and doesn't seem to mind being dropped occasionally. I use it as a practice mute. Though it's still fairly easy to play loud enough to annoy neighbours, it makes me a bit more comfortable with my relatively awful cornet playing. It stays in my cornet well. It hasn't fallen out yet, unlike my home made Renuzit air freshener mute, which likes to pop out in the middle of a note. It seems to sharpen the tuning a little, but it's easy enough to compensate for. I gather all mutes have some effect on tuning. 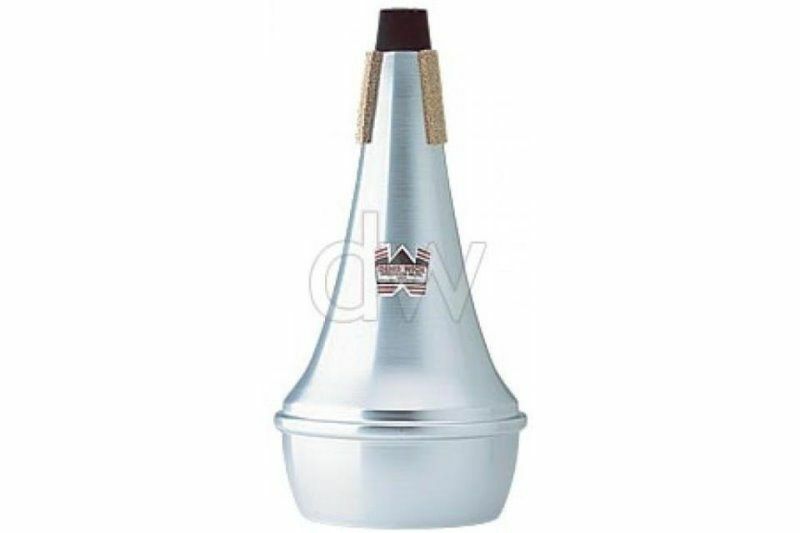 The Harmon B Model Aluminum Trumpet Wow-Wow is a favorite effects mute. The "wah-wah" sound is made by a sliding cup in the end of the mute. Famous musicians have used and endorsed Harmon mutes for over 25 years. Made entirely of aluminum, the Harmon B Model is free-blowing and does not alter or change the pitch in any way. 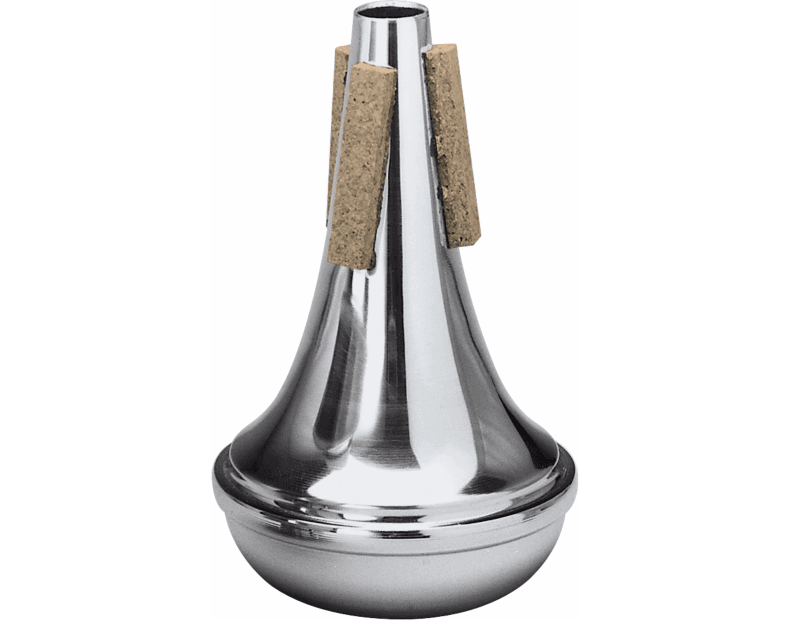 The Tom Crown TC1 all-aluminum Bb trumpet mute offers classic straight mute tone with a slightly bright edge. 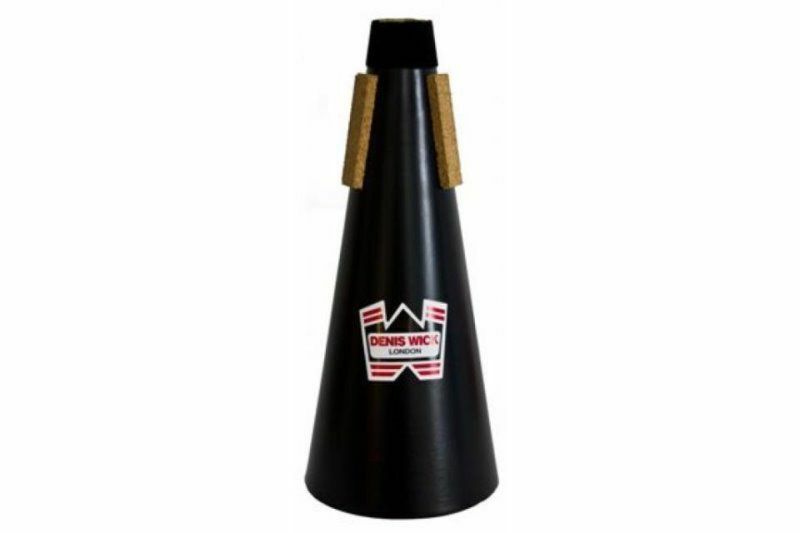 The Tom Crown mutes offer a bell-shaped contour that makes them a perfect acoustical match to the trumpet. Because of their consistency in tone quality, dynamic range, intonation and open feel, they are a must for all trumpet players.